Music boxes are tiny, yet powerful and complex. Made to travel, these unique instruments are constructed to reflect the sounds and styles of the world around them in timeless fashion. For years, Denise Mangiardi has evolved musically as such. She's traveled the globe inside of her own one-of-a-kind musical box. With entry stamps from almost every port of call, she has evolved into a virtuoso – all the while composing outside the music box. "All of my songs tell a story of somewhere I've been," explains Mangiardi. She continues, "My lyrics are poetic, behind a symphonic style." Denise's travels around the world have allowed her to absorb the sounds, styles as well as a plethora of genres. These experiences have spawned her inimitable blend of jazz, folk, pop and country. As a singer, songwriter, arranger and orchestrator, she pushes the lid off of any creative containment. As a child growing up in New York, it was the big-screen movies about concert pianists and composers that beckoned her to journey into the realm of music. Her musical family also greatly influenced her - especially her father - who custom built a listening room with a Marantz sound system. "My father's obsession with a perfect stereo sound ensured that we had a steady stream of big band and classical music," she elaborates. By the age of ten, Denise had learned piano which became her favourite instrument - guitar soon followed. By the time she was fourteen she was performing as a folk singer at venues such as the esteemed My Father's Place on Long Island – a favorite venue for the likes of Springsteen, Billy Joel and Bob Marley. She followed with performances at The Bitter End in New York City. While attending the Berklee College of Music, Denise transitioned from folk-based music into a more jazz-oriented style. She explains, "My brother who played jazz and classical flute was a bit of a catalyst for my change, but at Berklee I began to mix jazz with rock and folk." After graduating from Berklee, Denise began to study composition.She went to NYC where she met her mentor, pianist Ellis Larkin. Ellis was a tremendous influence on her style of writing,phrasing and sense of time. She performed with Ellis at the Carnegie Tavern where he had a residence as pianist. "He taught me how to sing a ballad". After her years in NYC working as a jazz singer, Denise began her love for composition. Initially, she returned to her alma mater, then eventually completing her masters and post-graduate degrees in composition at Trinity College of Music in London. Denise’s unique mix of muse originate from her vast travels around the world - especially over the last decade. “I’ve lived and worked in Australia, Paris, London, New Orleans and Denver,” explains Mangiardi. It would be in New Orleans where she established herself as a “must-see” performer within the local music scene. While living in Australia, Denise appeared on the popular Bert Newton’s Good Morning Australia show. The travel also gave her the opportunity to perform with the likes of Dennis Irwin, Tim Horner, Mark Soskin, Jay Anderson and Ellis Larkins. By 2006, she would settle in London’s picturesque Borough of Camden, where she opened her own studio called Alice’s Loft Music. The studio gave her the chance to write, produce and record for many other musicians and songwriters. ” From all four corners of the world, Denise was honing her set of musical talents into a musical menagerie of muse. 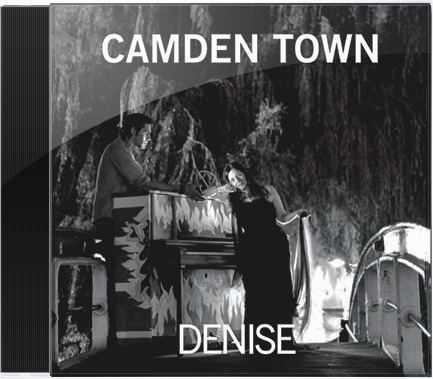 Denise’s first album, Fine Tuning, was released in 1995 … followed by River of My Own in 1998 and Naked Truth in 2003. All three albums were recorded in New Orleans. However, since 2003 the last decade has been a coming-of-age for Mangiardi. 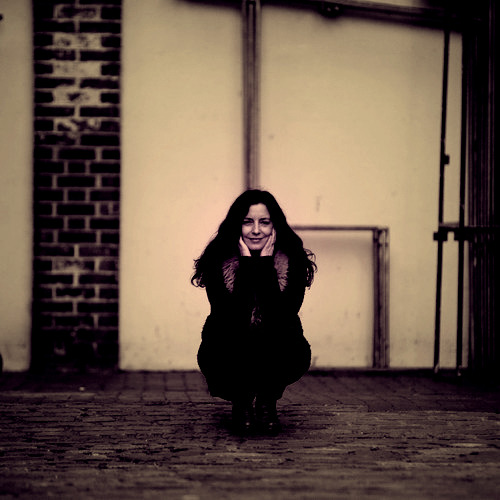 Almost without knowing it, living in Camden was becoming a creative fuel for Denise – the sites, the sounds, the people and all of the musicians she was coming into contact with. She aptly entitled her new project Camden Town. “I wanted Camden Town to become the nexus of all the sounds, energy and people who I have respected and worked with over the years and to create the album I brought together over forty-four musicians to help me record the album.” Camden Town is more a book than an album - with every track a new chapter in a story that reflects her life. In December of 2012, Denise's completed her commission “Songs of the Rainforest” for the Orchestra Toronto. The debut performance of her composition was for the Orchestra Toronto 60th anniversary Diamond Season. In late 2013 and 2014 her performance schedule brought her back once again to New Orleans, as well as planned performances in her new hometown – Paris – . Although Denise has been schooled at the most prestigious music academies … the world is her classroom. Her music is made from travel; in timeless fashion she reflects the sounds and styles of the world around her – always composing outside her own one-of-a-kind musical box. April 19, 2015 was the released date for her latest CD "Crusade", featuring her band from Paris, France. Folk Jazz Blues originals depicting story telling Melody Gardot,Nora Jones and Joni Mitchel all in one. Denise brings together 8 new original songs featuring " The Maid of New Orleans" and "Crusade". Her Crusade CD features Paris musicans, Denise Mangiardi on Piano and Vocals, Jerôme Barde, Guitar, Jeff Boudreaux, Drums, Michel Benita, Bass, and Basil Issac on Percussion. Special guests include, Laura Moody on Cello and Orlaith Mcauliffe on Flute. The CD is available on itunes and all major digital partners. Mark Soskin on piano and Jay Anderson on Bass. It will be a collection of jazz standards, Laura Nyro compositions, as well as original compositions and string arrangements by Denise. The CD will be released in August, 2016.